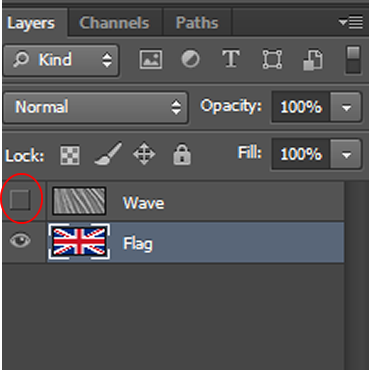 Today you are going to learn how to create a waving flag effect or curled flag effect using photoshop.In this tutorial we are using Displace filter which make it more realstic and easy.So lets start. 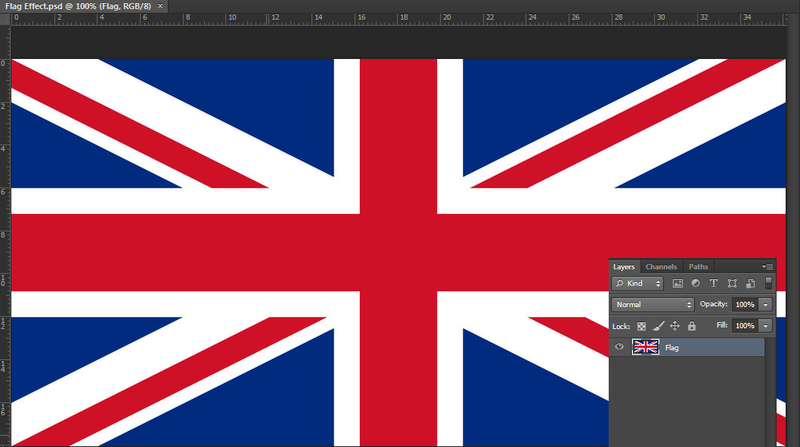 Open your flag image with photoshop And rename the layer as “Flag“.And save your file as “Flag Effect.psd“. Now create new layer and Place [File → Place ] fabric image you have.You can get one from by googling.Or use mine. 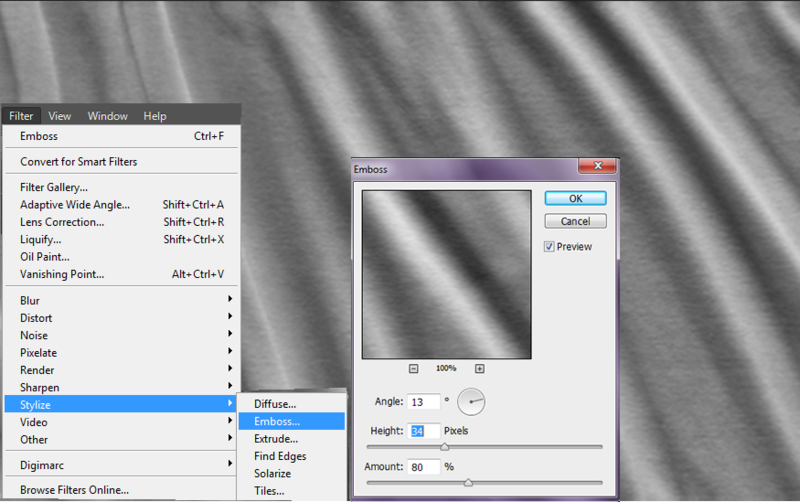 [Fabric 1 , Fabric 2] And rename the layer as “Wave“. Now select “Wave” layer and first “Right Click → Rasterize Layer“. 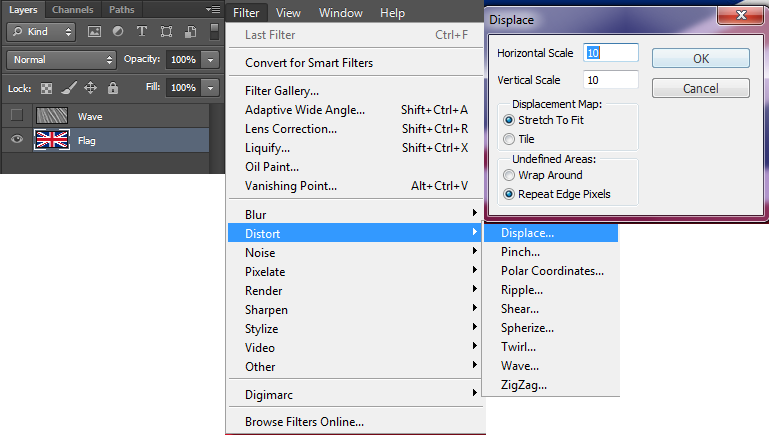 Then go to “Filter → Stylize → Emboss” set the values as you feel appropriate. 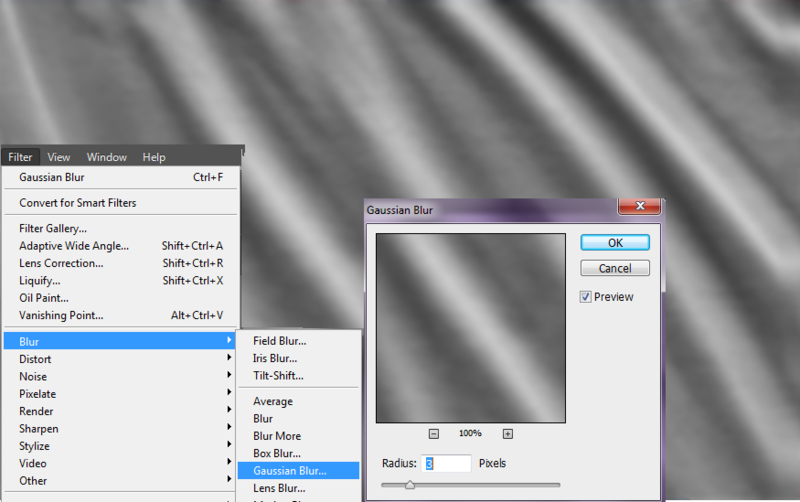 After that go to “Filter → Blur → Gaussian Blur “and set the value as below. 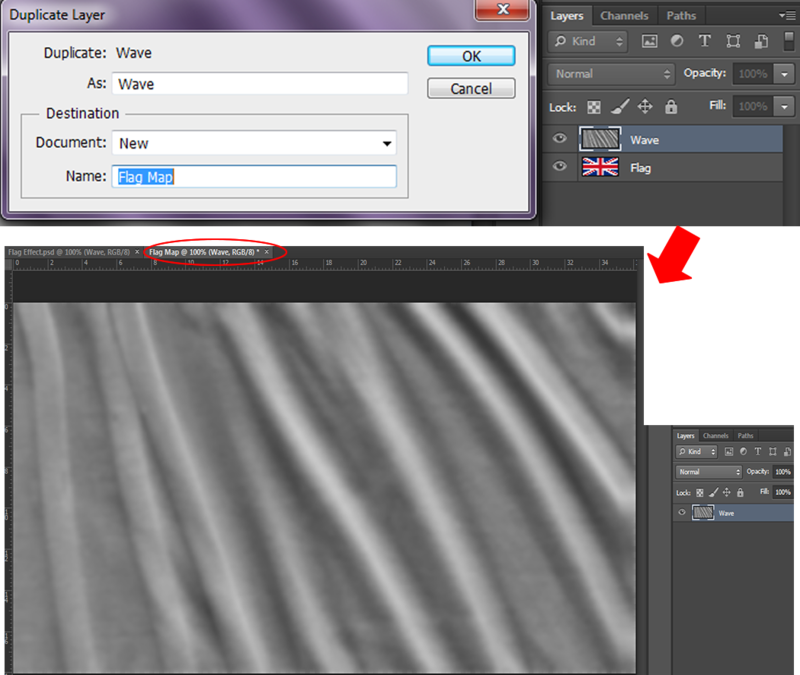 Now again choose “Wave” layer and then “Right Click → Duplicate Layer” . Then a new window will appear.Set the values of new window like below screenshot.Then you you will get “Wave” layer in a new tab. 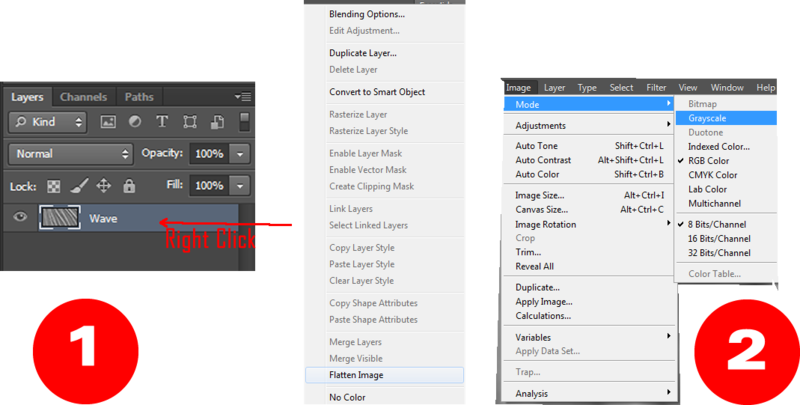 After that apply “Image → Mode → Grayscale“.Save the file as “Flag Map.psd” and close the tab. 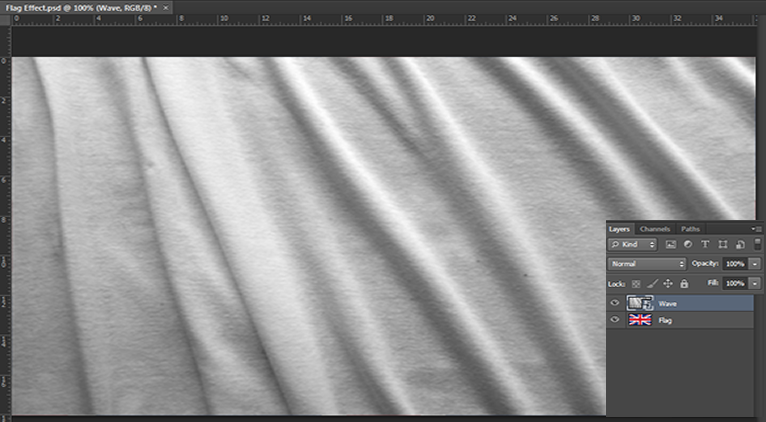 Now back to our “Falg Effect.psd“.First hide the visibility of “Wave” layer and then select “Falg” layer. 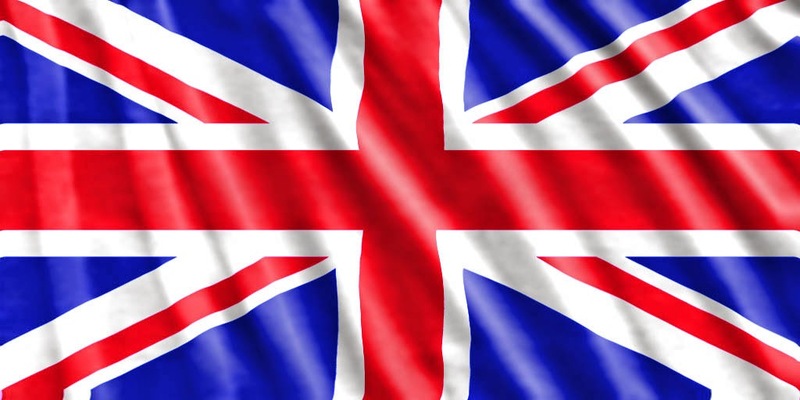 Now you will get a disorted image of your flag. 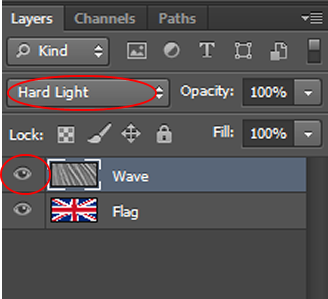 Now turn on the visibility of “Wave” layer and then make its Blend Mode to “Hard Light“. Now you can make it more attractive by adjusting its lightning levels.So adjust levels as you like by going to “Image → Adjustments → Levels“.